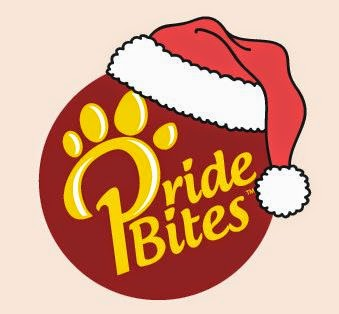 Gobble up 30% off your PrideBites order. Click here to begin shopping then, enter the code TURKEY. Senior dogs deserve a loving home to call their own. Aww, dat are sweet Bentley. Thanks Whitley. My window is the perfect height for a Basset. I love to look out my front window at the world. Uh, my poor sweetie! I know that pain when moms are away. It is just dreadful and you really look like you miss her! Hope she wasn't gone long! Dad told me that she was on her way home. Sigh...I was very happy when she got here. It is silly how we miss our pets when we go into the real world! We always hurry home. ☺ BOL! Can you believe that she had the audacity to show up with nothing for me?!?! I clearly need to be more specific when she leaves home. How sweet! Hope you didn't have to wait too long! Waiting takes a long time in dog minutes. Awww <3 Where is mom today? We are sure she will be home to play with you soon Bentley!! 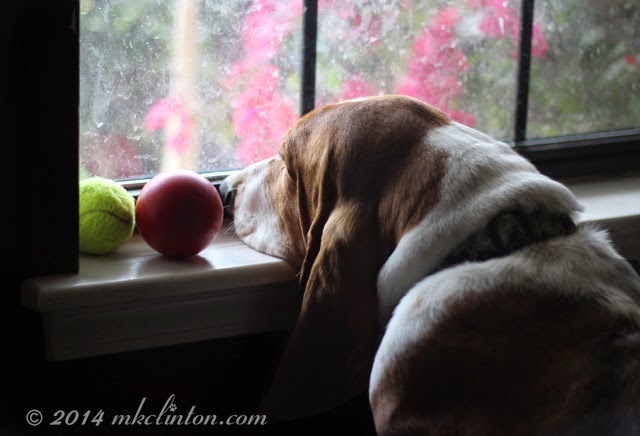 Waiting for Mom to come home and play ball?? How can our humans leave when we have balls to chase and ropes to tug? We understand...thats a very important and hard job....but somebody has to do it! I need a raise in treat salary. Awww poor baby!! Momma will always come home! Thanks Miss Rachel. I'll bet that you never leave Rooney! We hope she hurries home...and brings you a treat too! I'm still making her feel guilty, so I can get more belly rubs and snuggles. Maybe you can throw the ball down the stairs and play fetch while you are waiting? Awwwwe...you look so sad:( Hope momma wasn't gone for long! I practice looking sad just for these occasions. ☺ Guilt works in our favor. oh Bentley, that's about the saddest sight we've ever seen!! Hee hee hee! It's one of my best looks for extra treats. I can't purr and make bread, so I have to work with what I have! Haha! OMD! That is the sweetest photo ever!!!! *Paw Wave and Tail Wags!! Hi Taffy! We are so happy to have you visit. Thanks for stopping by and come on back!